With all the complications of keeping customers safe at a family entertainment center (FEC), it’s easy to overlook the basics of fire safety. 1. Conduct a fire-safety assessment. •What kinds of combustible materials — gasoline, oils, cleaning solvents — are on site? Improper storage can allow a dangerous buildup of fumes. Multiple hazardous materials in a single room or area could complicate fire-fighting efforts. •Are all combustible materials stored properly? Lids on containers must be tightly closed. Storage rooms need ventilation to let fumes dissipate. •Are all the buildings wired properly? Worn-out light switches and overloaded electrical outlets could spark a fire, especially in areas where fumes can build up. •Are buildings properly grounded for a lightning strike? •How does the local fire code apply to your FEC, and are you in full compliance with the code? Do you have a copy of the local fire code, and do you understand all of its provisions? In short, any area of your FEC that poses a risk of a spark causing a blaze must be addressed in your fire-safety assessment. Once you’ve carefully assessed your fire risks, you can start responding to what you’ve found. 2. Update your emergency plan. Your emergency plan should extend beyond responding to an accident or injury, or halting operations for tornado or hurricane warnings. Add strategies for different kinds of fires in multiple locations. Always have somebody onsite who has first-aid training. Even better, send a few key staffers to EMT training. Emergency drills are central to effective planning. Schedule drills regularly to keep your staff’s skills fresh. 3. Account for smoking risk. Make sure your employee handbook spells out your smoking policy with no ambiguities or gray areas. No-smoking signs must be posted near gasoline and combustibles. It may be advisable to forbid smoking throughout your park. 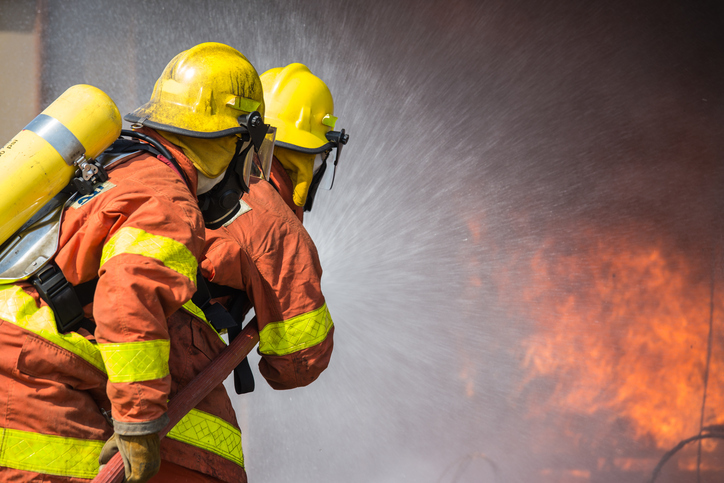 Customers won’t always obey the rules, so take time to train your employees to watch out for smoke and anticipate dangers — especially in arid climates that have high wildfire risk. 4. Dispose of dangerous items safely. Oily rags tossed into a pile in the corner of a storeroom can ignite on a hot day. The same is true of fabric used to mop up gasoline spills. Use dedicated hazardous-disposal containers, which combine fireproof metals and self-closing lids to limit fire risks. Empty these containers at least daily, and do not let them become overstuffed. Contact local hazardous-materials handlers to find out how to remove combustibles from your park. You can’t merely send these materials to the landfill; they must be disposed of properly. 5. Get educated on fire extinguishers. Place fire extinguishers in strategic positions closest to refueling, maintenance, and storage areas. Bear in mind that fire extinguishers work much differently on specific kinds of blazes. Your extinguisher might work fine with wood fires but fail to address the risks of burning gasoline or melting plastic. Additionally, you must make certain that you use the correct fire extinguisher for the correct application. Your local Fire Department will help you with this. Contact your local fire department and ask for a demonstration of extinguishing fires. Your staff needs to understand that a small, 10-pound fire extinguisher might not be powerful enough to put out a fire on a larger machine or ride. Need more tips on fire safety in FECs? As a leading provider of risk-management tools for family entertainment centers, McGowan Amusement Group has a wealth of expertise on reducing the potential for fire and other hazards at your property. Please talk to one of our experts today to clear up your questions on safety, liabilities, and risk reduction. « What Turns an Incident Into a Lawsuit?